The Moto Z4 probably won't land for many months if it launches at all, but we're already hearing rumors about it. Or, at least, we're hearing rumors about an unannounced Motorola flagship that's probably the Z4. What it's actually referred to as is the Motorola Odin, but that's apparently a codename. According to a source speaking to XDA Developers, this unannounced handset will also be using an unannounced chipset, namely the Snapdragon 8150, which is rumored to be the name of Qualcomm's next flagship smartphone chip and is likely to power many of 2019's best phones. The Moto Z4 – or whatever this ends up being – could also have an in-screen fingerprint scanner, as the company is apparently working on software to handle such a scanner. The source can't confirm whether Odin itself will have a fingerprint scanner in its screen, but that's a flagship feature, so it's a likely candidate. The new phone will also apparently run Android 9 Pie and support Moto Mods, including the 5G Moto Mod, which has been announced but won't land until 2019. That all sounds promising, but not all the news about the Moto Z4 is quite so good. For one thing, the source says it will have 4GB of RAM and just 32GB of storage, the latter of which is very lacking for a flagship and the former is at best ordinary. Though it's possible that other versions with more storage and RAM will also land. The other less than good news is that currently the source can only confirm that the Moto Z4 is coming to North America and specifically mentions a Verizon model, which might mean that it's a Verizon exclusive like the Moto Z3, though that's not something that the source could confirm. So it's not clear whether you'll be able to buy the Moto Z4 outside North America and even then you might be limited to one network. Of course, this is all just rumors for now, but the parts that the source seemed sure about could well be accurate, as XDA Developers claims that it was able to "verify" the supplied information. 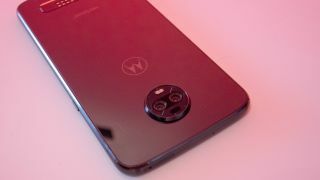 Don't expect to find out for sure any time soon though, as the Moto Z3 only launched in August, so there could be quite a wait for its successor.